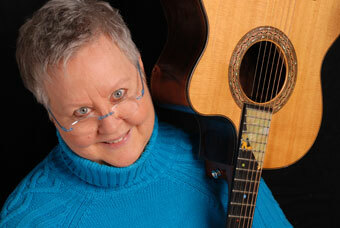 Christine Lavin celebrates 25 years of songwriting and performance with a new concert and a new book. My 25th Anniversary Concert: What Was I (EVER!) Thinking? pulls out all the stops as Christine reprises some of her early hits while introducing her latest. The concert is vintage Lavin combining signature songs with hilarious story as she recounts the people, events, near disasters and minor miracles that have defined her life and music. 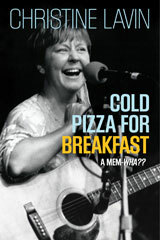 Some of these great road stories find their way into her new book: Cold Pizza for Breakfast: A Mem-wha?? Christine's book, and her soon-to-be-released collaboration CD entitled Just One Angel, are but the latest chapters in an illustrious career that includes seven years as a founding member of the Four Bitchin' Babes, numerous awards, television and radio appearances, and a host of incisive songs displaying boundless insight into the vagaries of popular culture, from sensitive New Age guys to "permanent reminders of temporary fads."